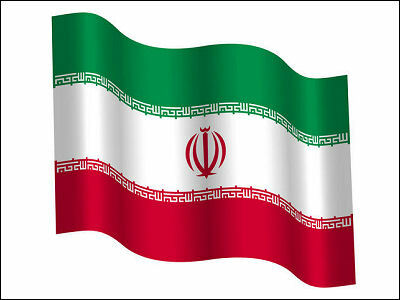 Tehran - Iran said Monday that it would rather purchase the nuclear fuel for its Tehran research reactor, the official news agency IRNA reported. Tehran - Iran's Revolutionary Guards on Monday warned political opponents against misusing the annual November 4 anti-US rallies to hold illegal protests against the government. In a statement carried by the official news agency IRNA, the pro-government elite forces warned opposition supporters not to hurt the Wednesday's revolutionary rallies for their political aims. It said they "will not allow any group to use false slogans to divert the rallies" to commemorate the 30th anniversary of the seizure of the US embassy in Tehran. Quetta (Pakistan), Nov.2 : Iranian marine guards have apprehended eight Pakistani officials, who allegedly crossed into Iran’s territorial waters. The arrest of eight officials of Pakistan’s Fisheries Department, including a marine inspector, comes in the wake of 10 Iranian Revolutionary Guards personnel having been caught by Pakistan’s Frontier Corps (FC) last week. Kuala Lumpur - Iran has asked for the setting up of a technical commission to review a United Nations-drafted nuclear fuel deal which aims to resolve the controversy over Tehran's atomic drive, its foreign minister said Monday. The deal, if it goes ahead, would see Iran's low-enriched uranium sent to Russia and France for further enrichment and conversion into fuel, after which it would be returned for use in a medical-purpose nuclear reactor in Tehran under constant monitoring by the International Atomic Energy Agency (IAEA). Tehran - A senior Iranian member of parliament said Saturday that Tehran's research reactor would be shut down in the near future, making the nuclear fuel deal with world powers irrelevant. "The Tehran reactor will soon be replaced by the 40-megawatt reactor in Arak and therefore any fuel deal would be relevant and therefore only to be made within a limited time period," the head of the parliamentary foreign policy and security commission, Alaeddin Boroujerdi, told ISNA news agency. Tehran - The Iranian judiciary released on bail a famous journalist arrested in protests following the June 12 election, the labour news agency ILNA reported Friday. Mohammad Qouchani, senior member of the opposition party Etemad-e Melli and chief editor of the party's newspaper, was freed on Thursday after more than four months in jail, on bail amounting to 100,000 dollars, ILNA said. Tehran - Iranian President Mahmoud Ahmadinejad on Thursday called on the United States to drop its support for Israel to prove its claim of wanting change. "You have to choose between your prestige in the world or support for the Zionist regime [Israel]," Ahmadinejad said in a speech in Mashad in north-eastern Iran that was broadcast on television. "You have to chose one of the two options." Tehran - Iranian President Mahmoud Ahmadinejad said Thursday that Iran would welcome a uranium exchange deal proposed with Russia, the United States and France. "We welcome the uranium exchange deal and are ready for cooperation, but the countries involved in the deal should also fulfil their commitments," Ahmadinejad said in a speech in Mashad in north-eastern Iran that was broadcast on television. Ahmadinejad did not say whether Iran would definitely accept the deal as it was agreed in Vienna last week or demand amendments. Vienna - International Atomic Energy Agency (IAEA) inspectors arrived in Vienna from Tehran Thursday, an agency spokesman confirmed, after visiting a new nuclear site that was disclosed too late under IAEA rules. The quartet of experts spent four days at the new uranium enrichment plant near Fordu, 100 kilometres south of Tehran, as well as in the capital itself, to verify that the installation is not being built for military purposes. Tehran - Iranian President Mahmoud Ahmadinejad on Tuesday hailed visiting Turkish Prime Minister Recep Tayyip Erdogan's support of Tehran's nuclear programme and for its anti-Israel stance, state media reported. "What kind of justice is that an illegitimate state (Israel) has atomic weapons and other countries are deprived from having even peaceful nuclear programmes," Ahmadinejad told Erdogan in a meeting in Tehran. Islamabad, Oct 27 : Pakistan Tuesday released 11 Iranian Revolutionary Guards who had been detained Monday for trespassing into the country's territory, a media report said. The guards had been arrested in the Mashkhel area near the border with Iran, the Dawn newspaper reported. The report quoted the Fars news agency as saying that the group was handed over by the Pakistani army to the Iranian border guards at Mirjaveh border crossing in the Iranian province of Sistan-Baluchestan. Tehran - Inspections by an International Atomic Energy Agency (IAEA) team at the new nuclear site of Fordu were going on as scheduled, Iranian Foreign Minister Manouchehr Mottaki said Monday. "The IAEA inspections (in Fordu) are going on as scheduled and we have no problems with that," Mottaki told reporters in Tehran. The IAEA team on Sunday inspected the Fordu site, 100 kilometres south of the capital Tehran, and further inspections were planned for Monday, the Mehr news agency reported. Moscow, Oct 25 (RIA Novosti) Four UN nuclear inspectors arrived in Iran early Sunday to inspect the country's second uranium enrichment facility. 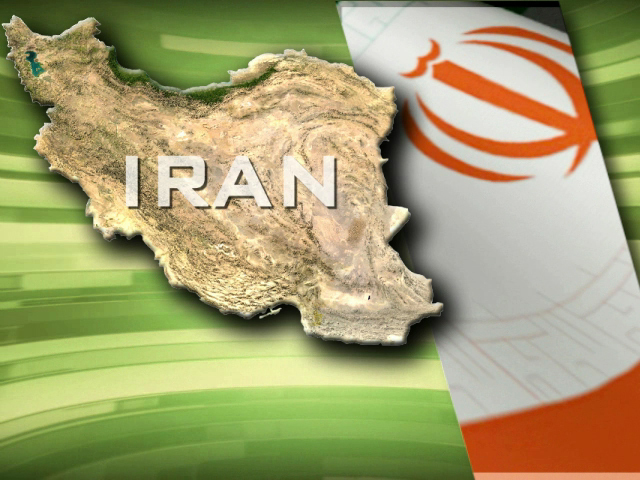 The delegation from the UN nuclear watchdog, the International Atomic Energy Agency (IAEA), would spend two or three days in Iran, starting its inspections Sunday. Iran announced in September that it was building a new nuclear fuel enrichment plant near the holy city of Qom, some 100 km south of Tehran. The announcement has fuelled fresh concerns that Iran could conduct covert uranium enrichment activities, and the IAEA demanded that Tehran provide detailed information and access to the new nuclear facility as soon as possible. Tehran, Oct 25 - Iran and Pakistan have decided to increase cooperation on security matters and terrorism, Iranian news agency Mehr News reported Sunday. Iranian Interior Minister Mostafa Mohammad Najjar said Saturday that Iran and Pakistan have reached "significant agreements" on various security issues. The two countries have agreed to boost border security, exchange information on security matters, and increase cooperation in the campaigns against drugs and human trafficking, he said in Islamabad Saturday. Vienna/Tehran - A team of International Atomic Energy Agency (IAEA) inspectors arrived in Tehran on Saturday night to visit a new nuclear site south of the Iranian capital that has created new suspicions about Iran's nuclear programme. Flying from Vienna, where the IAEA is seated, the four experts were set to visit the unfinished uranium enrichment site near the village of Fordo for the first time since Iran informed the IAEA about it in late September, years after starting construction. Tehran - The Iranian parliament has voiced opposition to a proposed uranium exchange deal with Russia, the United States and France, state media reported Saturday. Parliament Speaker Ali Larijani said that Iran should not be limited in the deal to just exchanging its own uranium with higher enriched uranium, but should also be allowed to purchase it separately. "The stance by the sides involved in the deal indicates imposition and cheating," said Larijani, a former chief nuclear negotiator. Islamabad, Oct. 24 : Iranian Interior Minister Mostafa Mohammad Najjar has asked Pakistan to immediately hand over Abdolmalek Rigi, the chief of the militant Sunni Muslim group Jundullah, to Tehran, saying the country’s intelligence officials have sufficient evidence to prove his presence in Pakistan. “We have documents that show Rigi travels readily to Pakistan…we are here to ask Pakistan to hand over Rigi to Iran,” The Dawn quoted Najjar, who arrived here to meet his Pakistani counterpart Rehman Malik, as saying. Tehran - Iran has hanged five murder convicts, including a woman who had killed her newborn baby, in sentences carried out in Tehran's Evin prison, state media reported Friday. The 27-year-old woman had in 2006 slain her 5-day-old son in a brutal way, the report said. Until the day of her execution on Wednesday, the woman had refused to identify the infant's father. Tehran - Tehran on Thursday denied that officials from Israel and Iran recently took part in a conference in Cairo on nuclear non-proliferation in the Middle East. "The reports in this regard are sheer lies and there has been no meeting in Cairo," the spokesman for the Iranian Atomic Organization told the website of state television. According to the Israeli daily Ha'aretz, the September conference organized by the International Commission on Nuclear Non- Proliferation and Disarmament (ICNND), took place behind closed doors, with participants committed to secrecy.